We headed to SuperCuts—I know I could have taken advantage of the free haircuts at JC Penney that is going on this month but I didn’t want to wait around for an appointment. At SuperCuts you can just walk in. “Don’t cut a lot off. 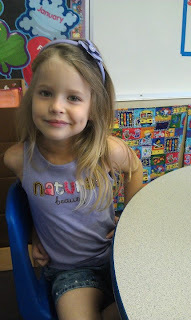 I need it long like Rapunzel,” Natalie told the hair stylist seriously. Yes. It was her FIRST ONE EVER. I had never taken her because she always loved her long hair so I didn’t see the point. I only took her now because her ends looked dead and yuck. Good for her for telling the stylist exactly what she wants! She looks beautiful. So cute....that girl needs to model! So pretty! And they didn't cut too much off. Second - I totally had to read that boycott American women comment.. The heck?! I got a good chuckle out of it. Guy sounds pretty ignorant. When is dad going to build that tower to lock her in? I have the same battle with my girls... both refuse to get their hair trimmed. Sigh. Wow, that boycott American Women comment is something! I always wanted long hair when I was little, but my mom always cut it short! Looks so cute! And proud! Natalie's hair is perfect princess hair. 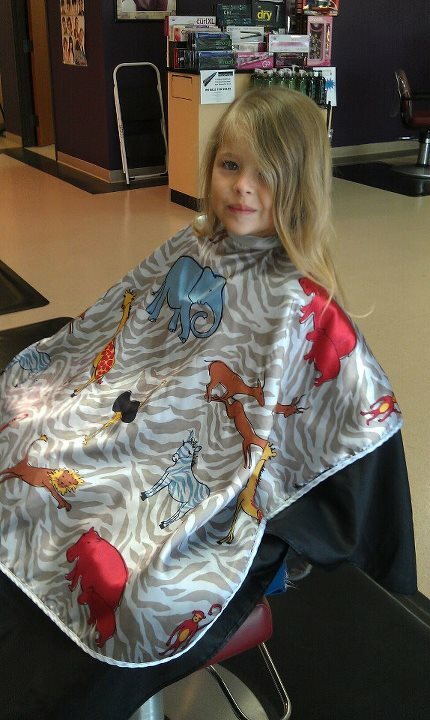 Tell her she did a good job telling the hairdresser exactly what she wanted. That is always the hardest part for me. Bella has never had a haircut either! EVER! And her ends are shot!!!! Long like Rapunzel....*sigh*....I hear that too! Well, there are some girls that really love long hair, and Natalie is one of them. If you don’t want to cut her hair again because the ends look dead and messed up, start combing her hair from the bottom and slowly move upwards. Don’t comb her hair forcibly because it may lead to breakage or worse.